These Nutella Brownies almost didn’t happen. 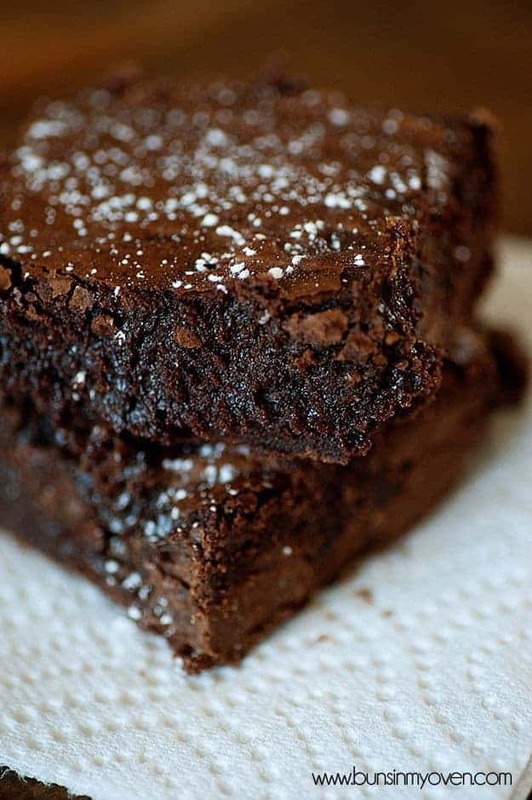 They were a last minute, oh hey, chocolate sounds kinda good, let’s do our favorite brownie recipe. Then, as I was grabbing the flour from my cabinet, I bumped into the jar of Nutella and, well, I just went with it. Divine intervention, y’all. It’s a thing. After seeing how decadent and fudgy they were, I busted out my macro lens. I usually shoot with a 50mm 1.4, but these were begging for my dusty ol’ macro that I never use and yet can’t seem to part with. I think it’s safe to say that the macro will be getting plenty of use after these photos. You can almost reach through the screen and stick your finger into the gooey chocolate, amirite? Now, seriously, I’ll get around to a healthy recipe one of these days. Maybe even soon! It’s just that there are so many more treats and desserts that I feel like sharing first. You’re not complaining, are you? After receiving a couple of comments from those of you who have tried these, I wanted to clarify that the predominant flavor here is chocolate, not Nutella. 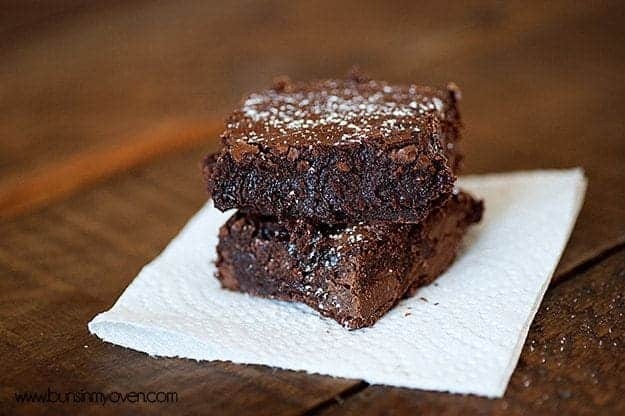 The Nutella just gives these a burst of chocolate fudginess, but the hazelnut flavor is not super noticeable in these brownies. Plenty of you have commented something along the lines of “best brownies ever” so please do try these! I just don’t want to set you up for disappointment if you’re expecting a full on Nutella assault. These decadent brownies are full of Nutella, cocoa, and milk chocolate for a super fudgy treat! 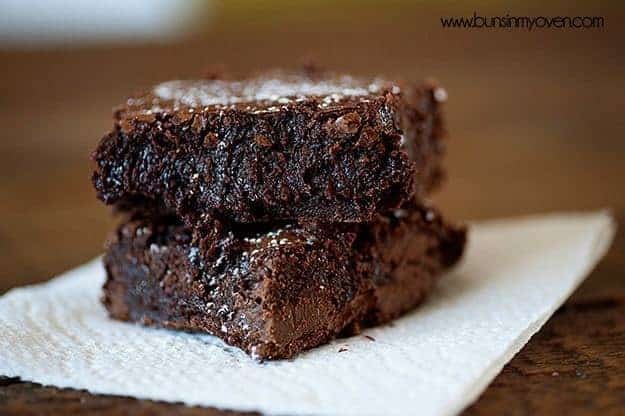 These are, dare I say, even better than the box mix brownies we all love! Pre-heat the oven to 350 degrees. Butter a 9×13 baking dish. In small saucepan over low heat, melt butter completely. Stir in sugar and continue cooking for 1-2 minutes, stirring constantly. Do not allow sugar mixture to boil. Remove from the heat and stir in the Nutella until well combined. Pour butter mixture into a large bowl or stand mixer , beat in cocoa powder, eggs, salt, baking powder, espresso powder, and vanilla extract. Mix until well combined. Stir in the flour and baking melts until just combined. Spread into prepared pan (batter will be very thick and sticky) and bake for about 30-35 minutes, until a tester comes out mostly clean. The edges should be set and the center should still look slightly moist, but not uncooked. Cool on a wire rack.